As a child I was born and raised in a military family; with my father serving in the United States Air Force for over 20 years before retiring. The military dependant life sometimes was not the greatest due to all the relocating that you would have to do. Which in turn caused you to change schools every 4-6 years and had you constantly trying to make new friends. (Every time you would a chance to get to know someone really well it was time to move again) But at the same time it was great getting to travel and live in so many different types of areas with many types of people from a variety of backgrounds. 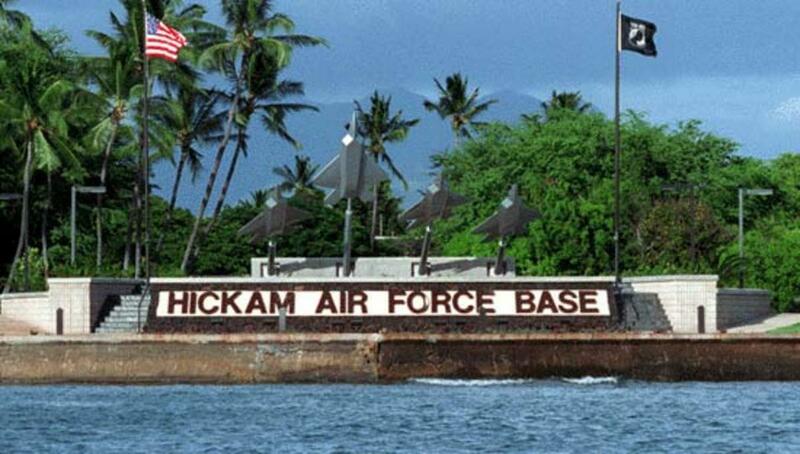 I would have to say my favorite place that I had lived is the one place that holds the most memories for me which is, Hickam Air Force Base, Hawaii. Hickam Air Force Base is located in Honolulu, Hawaii on the island of Oahu. I had an opportunity to live there on the base for 4 years in the early 1990s. [Lucky for us we were on the base because the going rate for a 2 bedroom apartment at the time started at $1200 and up; they were also in areas that weren't so great] The scenery there was beautiful, we lived minutes from several beaches, everyday it was shorts weather, there were also so many attractions to visit, and Hawaii holds a lot of history too. When we had first arrived in Hawaii, we did our 'normal' family thing and drove around the entire base exploring our new home. As we looked around we began to notice that there were several old looking buildings that looked as if they were falling apart. They had several chunks missing out of sides of the walls. Later on we found out that all the old buildings were originally there when the Pearl Harbor Bombing took place. Every building that had stood during that time was damaged or completely destroyed; and any building that had survived the bombing was considered to be part of history. The surviving buildings were only restored inside and had their damaged walls painted over. The base made sure to maintain all visible damage to the exterior walls for "history"; I had always found that interesting. There was only one structure on the base that survived without any damage and that is the famous landmark of the base, The Freedom Tower. 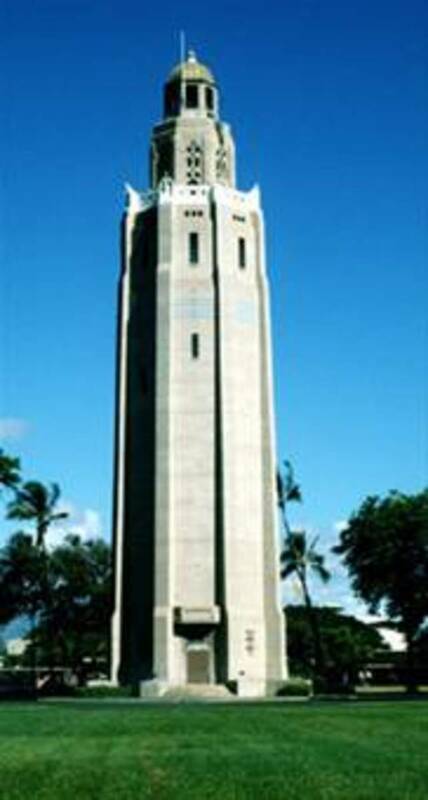 The Freedom Tower is a water tower that stands on the base in front of my old elementary school, Hickam Elementary. It is said that the Japanese thought it was some type of religious structure, so they feared the tower at the time of the bombing and left the it untouched. Many of the homes on the base were very old too. Some of the homes looked as if at one time they were two separate homes that were joined together 'duplex style'. I can only assume this off of the interior and exterior appearance, and sometime later on they put them together to accommodate the higher ranking families on the base. Again, those are only my assumptions; that is something I would need to research. Overall, base life was great in Hawaii; you had all the perks of an extended vacation without Hawaii's cost of living. My favorite part of living in Hawaii was all of the great beaches it has. The two beaches I considered the best were the North Shore and Sandy Beach. 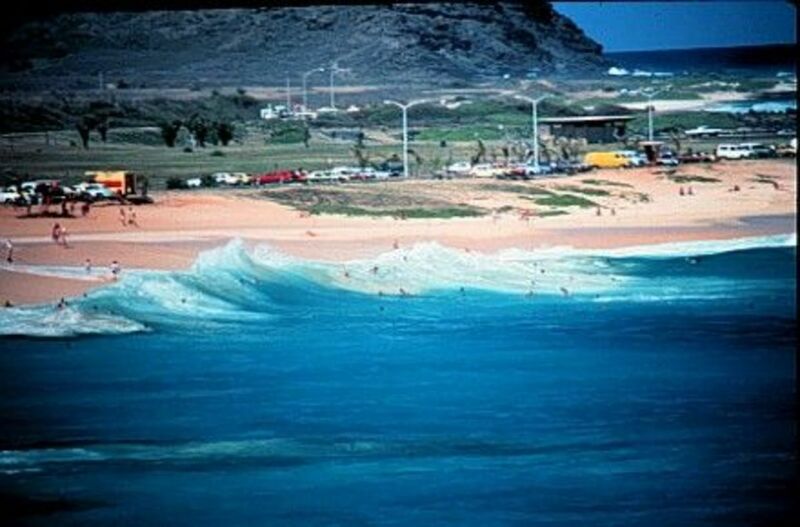 These two beaches are located on opposite sides of Oahu. The North Shore has bigger waves of course (during the winter season), but you have to watch those coral reefs. I loved Sandy Beach because the waves there were rough, something that I really enjoyed. I remember one day my brother and I had came up with the reason they called it Sandy Beach and that was because of the way you would get tossed so hard in the waves; the sand would end up everywhere! I mean the sand would get packed in your swimsuit, stuck to your skin, and glued to your scalp. It would take at least 2 days worth of showers to get the sand off of you. But it was worth the boogie board rides to me; I loved the rough waves. 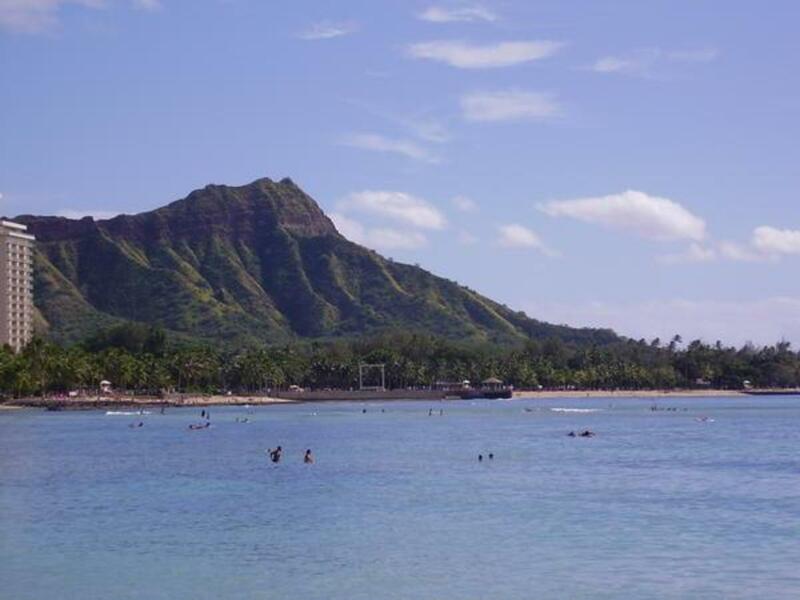 I never really care for the 'Tourist' beaches like, Waikiki Beach, Waimea Falls, Ala Moana Beach Park, Hanauma Bay nor the base beaches, Bellows and Hickam. Their waters were to calm for me, some had no waves at all just little ripples. 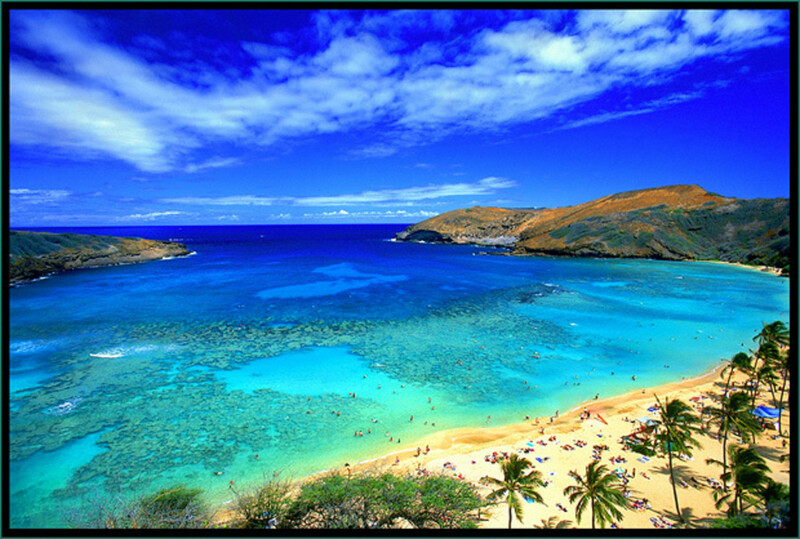 I especially disliked Hanauma Bay because I have always been afraid of fish! I understand that all of tropical fish are beautiful to look at, but this is one place you could say nature gets to a little too close. The fish here do not seem afraid of you and at times they will swim right up to you. I guess it would just depend on the person and what you were looking for. All of the beaches here are beautiful and worth going to at least once. I could go on and on about Hawaii and all it has to offer but you would have to scroll through my hub for days. So instead I'm going to include my list of must Do's if you go to the island of Oahu. Climb to the top of Diamond Head [The inactive volcano crater that remains after creating majority of Hawaii] The views here are awesome, so don't forget your camera! Pull over to the side of the road and take pictures next to the pineapple fields. [don't try to steal one Dole frowns upon that!] I'm sure the sugar cane people wouldn't notice a stalk missing though. Those are along the roadways too. Visit the Polynesian Cultural Center. You really need to make this an all day event to enjoy the whole Hawaiian experience from day life to night life. If your going to shop the mall that I suggest is Ala Moana, and for more touristy type of stuff you must go to the 'Swap Meet' at Aloha Stadium. They have it every weekend and everything you could want as souvenirs is cheaper here than at the kiosks located along the streets in Waikiki. Go to Byron's Drive In located just outside of Honolulu International Airport. They have the best plate lunch specials. Breakfast, lunch, and dinner available around the clock, reasonable prices, the food is great, and they are opened 24 hours a day 7 days a week. Go to Pali Look Out. It's located in the mountains off of one of the 3 highways that are there. I'm sure you can Google it and find it's exact location. 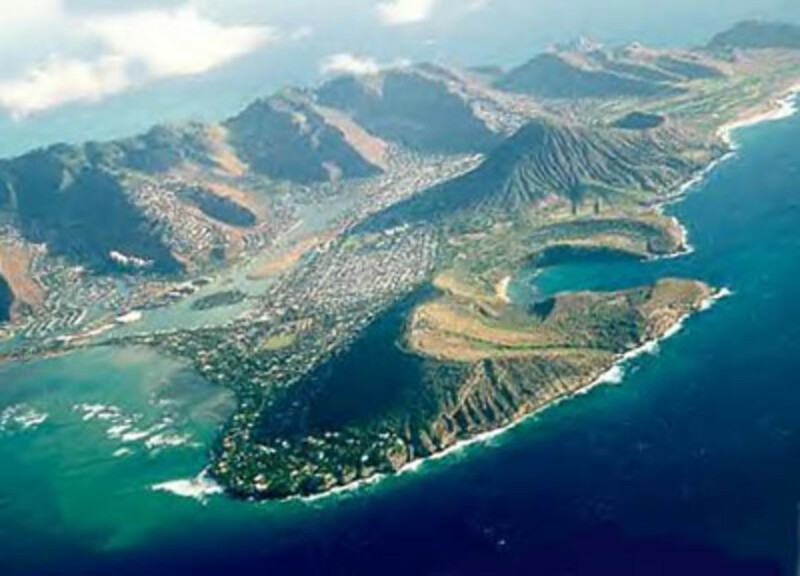 It has a beautiful view over the Leeward side of the island. It's very windy up there and the scenery is lovely as well. A perfect photo opportunity. Go to the "Swap Meet" at Aloha Stadium and buy a pair of 'Flo-jos' (Hawaiian Style Flip flops, this is the only place I've ever heard or seen them!) and a fresh cold coconut juice served in the actual coconut with a straw. Anyway, these are just a few of my suggestions and things I enjoyed doing while I was there. I have so many memorable moments that I have left unsaid and there's more out there that I probably haven't even explored. These are the just few main things that come to mind the most when I think of my life in Hawaii. 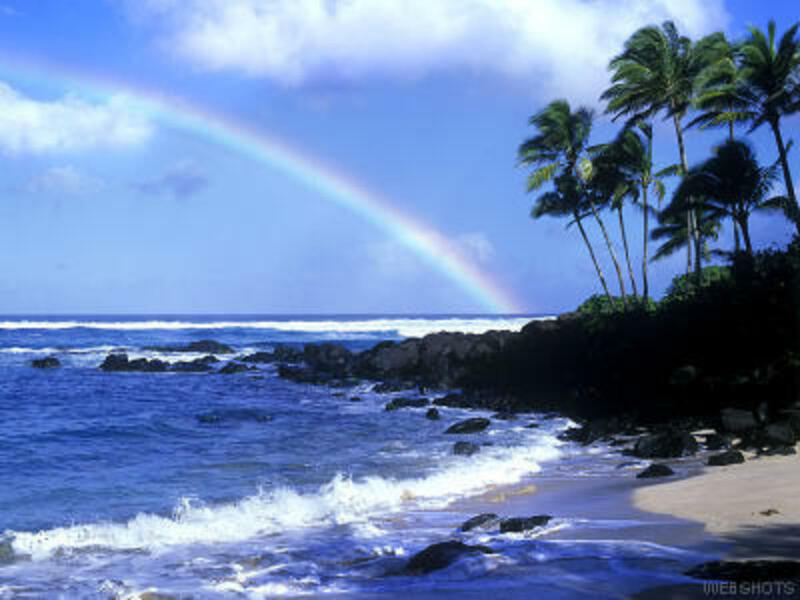 Living in Honolulu, Hawaii was one of the greatest places I've ever experienced. I have the my father and the military to thank for that. Overview of the unforgettable Pearl Harbor Bombing with the Japanese. Overview of the Hanuama Bay Beach Park loaded with many pictures. If you don't know what this is you need to before stepping onto the beaches of Hawaii. Thank you Vicky! I too lived on Hickham from 1974-1979! Very fond memories just like you! 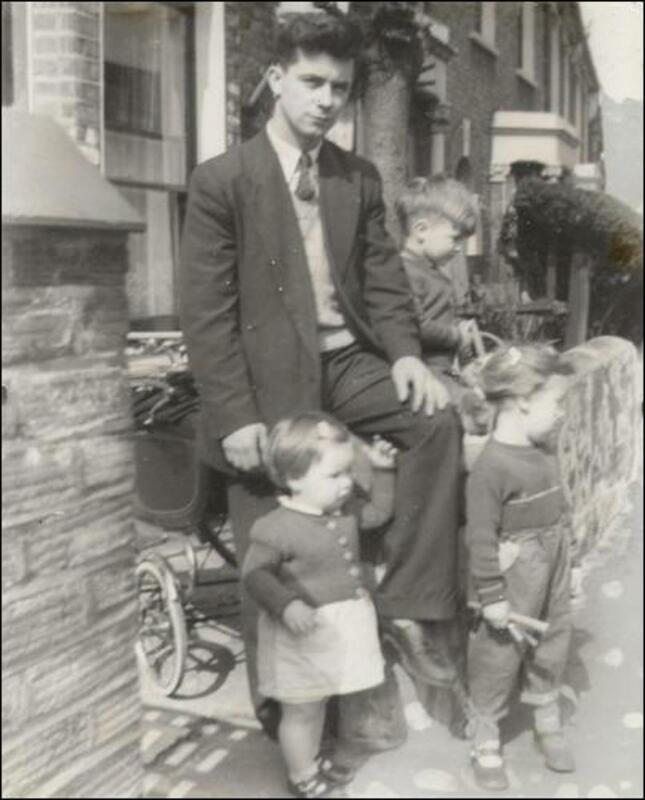 Thank you for the great description of my life, as I to lived on Hickham in the later 60's and early 70's. My memories are every place you mentioned to visit and some. I spent many a day on North Shore beach and had fond memories of Wikiki beach climbing thru the banyan trees that were all tangled together. I attended Hickam Elementary as well as Nanakuli Elementry when we lived off base. I have such fond memories of trail riding on horse back, my days as a brownie camping in the mountains and oh for sure going to the on base theater for a quarter and the pool. The punch bowl was also a good place to visit and don't forget the blow hole, the zoo and the Polynesian Cultural center. Aloha! 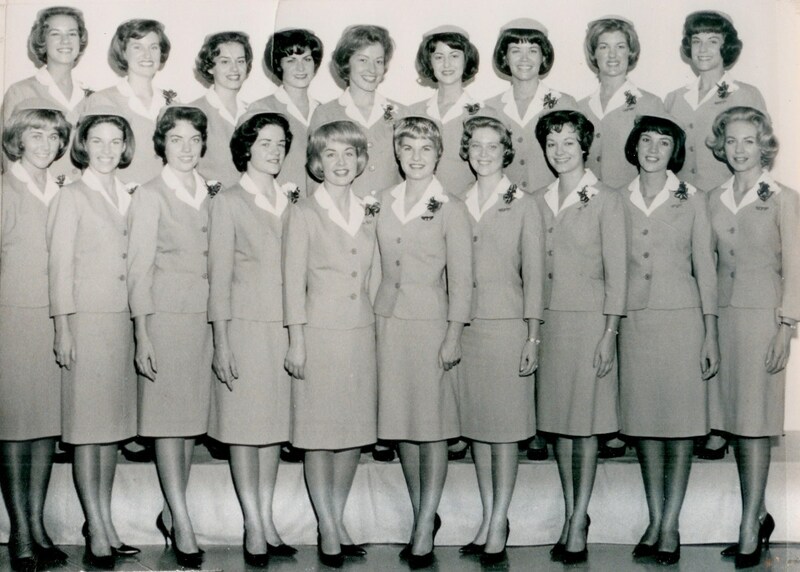 You may relive some memories as you have been relocated several times yourself, perhaps provide your own expirences as well to better help those looking to join the Air Force or those wanting to move. I attended Aliamanu as well 3ed to 6th grade 1980 to 1982. Thanks for the memories. Great hub and gorgeous pictures. Enjoyed your article. I could feel the warm tradewinds sweep past me as I read!!! Wow!...that was like a walk down memory lane! I lived at Hickam in 1975-76 and attended the same middle school. 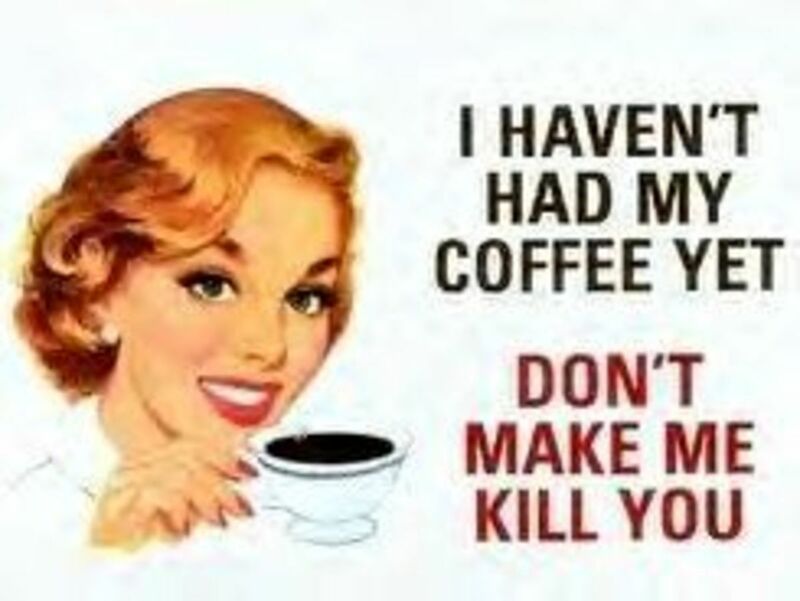 You described it to a tee! Lucky us for having the opportunity to live in such a paradise. I loved Bellows just for body surfing and yep, substained many man o war stings. Nothing a little steak tenderizor didn't take care of tho. Thank you for bringing a smile to my face today! Great hub. I can identify with your admiration for Hickam AFB. My husband was stationed at nearby Ft Shafter from 2001-2004 and our daughter (born in 2002 at Tripler Army Medical Center) and I would frequent Hickam AFB for walks. What a beautiful base it is! I will never forget the special times we had at Hickam and I can't wait to take our daughter there again soon. I was also a military brat I loved living on base and going to school on base like we did in Germany.